When you think tough, smash-mouth football in the NFL, the two teams that usually come to mind are the Baltimore Ravens and the Pittsburgh Steelers. The two teams meet this Sunday at 1 p.m. EST in Pittsburgh with the Steelers a 1.5-point home favorite and an ‘over/under’ total of 34.5 is posted on the game according to the official Week 4 NFL odds. Baltimore (2-1 overall and 1-2 ATS) is off a 24-17 win over the Cleveland Browns last Sunday. It was the highest scoring output of the season for the Ravens, who were held to just 10 points in each one of their first two games before last weeks win over the Browns. The Ravens offense has managed just over 300 yards of offense per game on the season, ranking them 23rd in the NFL in offense. This unit has had trouble scoring points as they are averaging just 14.7 points a game on the year. Two of the three Ravens games this season have gone ‘under’ the posted total, and dating back to last year the Ravens have now gone ‘under’ in seven of their last nine road games with one push. A lot of the Ravens offensive problems have to do with their usually strong running game, which currently ranks just 29th at just 3.1 yards per carry. Baltimore’s strength lies once again this year in their stellar team defense, which comes into this game ranked first overall in the NFL in total yards allowed at 244 yards per game. The defense has allowed just 13.7 points a game, which places them in the Top 5 in the NFL in points allowed. The Pittsburgh Steelers (3-0 overall and 3-0 ATS) have been one of the bigger stories in the NFL so far this season, establishing themselves as one of the early favorites to win the Super Bowl. This is a team coming off a very disappointing 9-7 season last year and missing out on the playoffs, this following a Super Bowl title a year earlier. Much of the defensive talent is still around from that championship team of 2008-09. 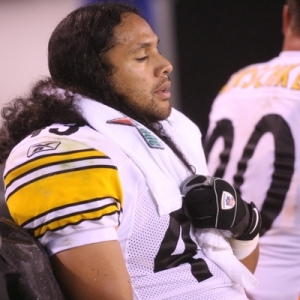 In fact, the Steelers defense has been so good that they have been able to get by using their fourth choice at starting quarterback this season, the 35-year-old Charlie Batch. There is nothing fancy about this Steelers team as they run the ball well with the third highest yards per game on the ground in the NFL at 150 yards per game. On defense they rank third in the NFL with stopping the run as they have held opponents to less than 60 yards per game rushing. It’s been the perfect recipe for a team that has Charlie Batch behind the center. Head Coach Mike Tomlin and his staff know that to win they must not only count on their running game, but their defense and that unit has answered so far as they have held the opposition to just 11 points per game on the season, which is the lowest of any team this season in the NFL. With this being an early season statement game for both teams, expect a hard-hitting, grind-it-out affair. Both teams know that their best chance is relying on their top notch defenses to win the game. Playing already their third road game of the young season, the Ravens don’t back down to any team, and you can be assured that they will go toe-to-toe with the Steelers in this one. They have proven time and time again that they love a good old fashion fistfight, and as recently as their Week 1, 10-9 win on the road against the New York Jets. The Ravens will look to do the simple things in this game like running the ball and trying not to make any mistakes on offense, while putting the pressure on their defense to step up. This is the way that Baltimore likes to play when they are away from home as proven by the fact that they have only gone ‘over’ in one of their last nine road games dating back to last year. Pittsburgh would love nothing more then to come out of this four-game stretch of games without their starting quarterback at an undefeated 4-0. They will also look to rely on their strong running game and even stronger defense, while asking Charlie Batch to just control the game and not do anything to lose the game for the Steelers. All of this will lead to a low scoring, mistake free football game from both sides. Look for this game to stay ‘under’ the total with the Steelers winning a hard fought 17-14 game. When it comes to expert football picks there is no question Jason Sharpe is one of the guys to turn to for winning picks. Jason has had an incredible start to his football season with 6 of 7 winning weeks. He is +35 units on the season with $100 bettors already up $2,940 (Dime bettors +$29,400) To get Jason’s guaranteed football winners for this weekend click here and sign up for a one week package that’s 100% guaranteed to profit.